A starter for the Kind of Clothing we should wear. Here is my opinion. Unless you are able to purchase a correct military Wagon and Harness, Dress as a Civilian. 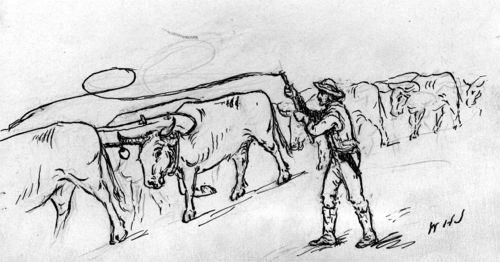 Many Farm wagons and teams were pressed into service. Many teamsters were contract. If you dress Federal in your impression, then you need to stay on the Federal side. A true Military wagon corp would have guards and officers. They would answer to the Quarter Master. Unless you can display that impression correctly I would shy from it. The Civilian Impression would be able to work on either side of the field. Particularly early War, all there was on either side was contract wagoners. 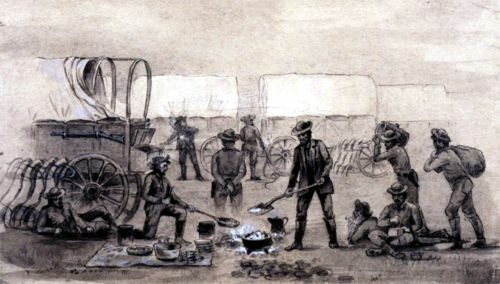 The wagons of a regiment (battalion) were organized as a company under a "Wagonmaster" (six in a Union Infantry Regiment four in a Confederate). 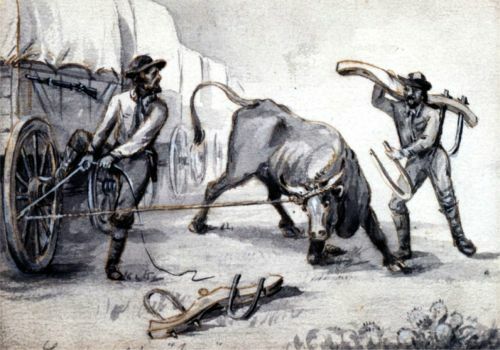 Neither side issued uniforms to the wagoners in the beginning. I try to have some kind of patterned (striped or plaid) trousers with a civilian roundabout or sack coat so no one takes me for a soldier. 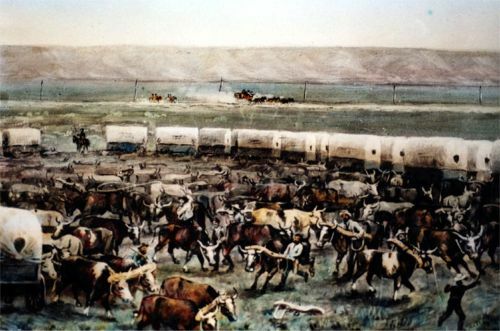 Russell, Waddell and Majors provided thousands of wagons to the Western Armies throughout the War, and all their drivers were civilian. 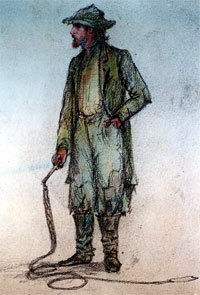 Look at William Henry Jackson's artwork for an idea of what these looked like. 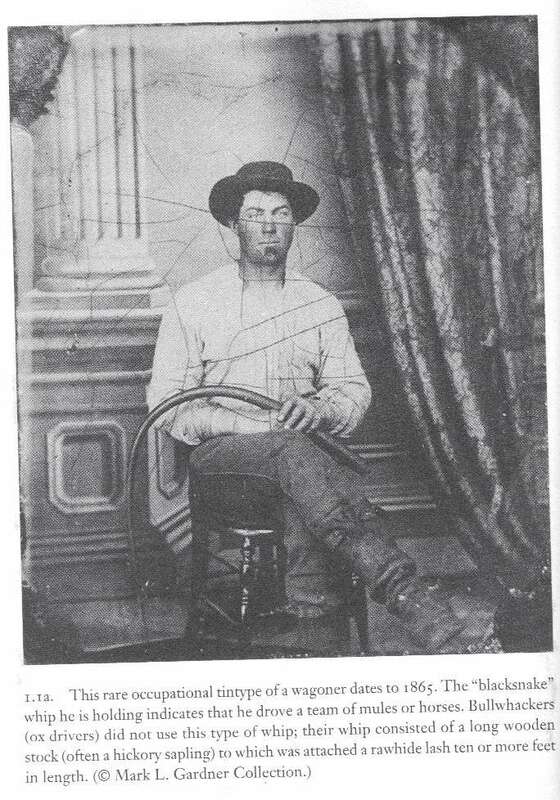 I've attached some shots I have found of wagoners from 1860 to 1866. Re: A starter for the Kind of Clothing we should wear. Thanks for posting the pictures. I would like to see more!!! A picture's worth a thousand words, ya'll just said a bunch.